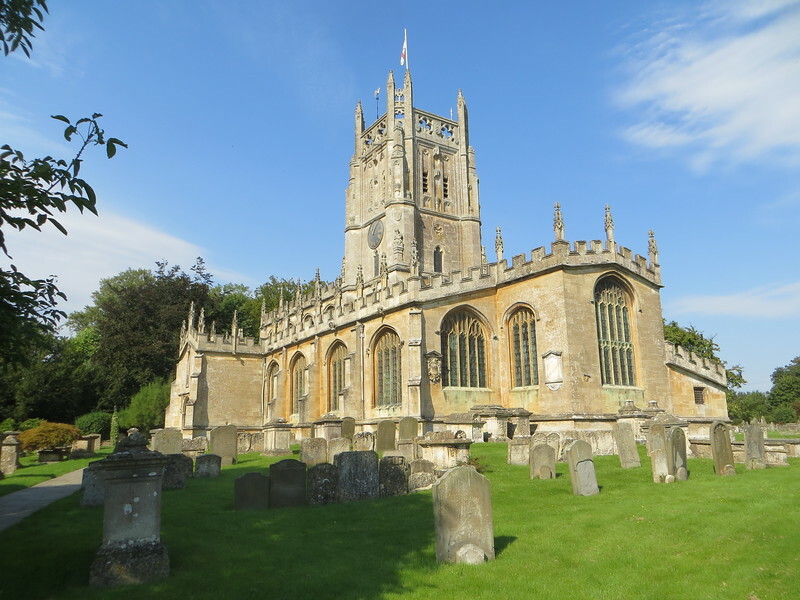 This is St. Mary's Church in Fairford. It is a "wool church," i.e. built in the Middle Ages by a prosperous wool merchant who wanted to use some of his wealth to do good works. There are many wool churches in the Cotswolds but St. Mary's is special. It contains a complete set of medieval glass windows, the only one in Britain. It is a "Grade 1" listed building, that is, defined by statute as of exceptional national significance.